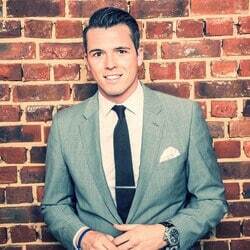 Presenter Michael Kurn is known for being on the team of on-air Premier League Productions. He has reached international success and is an experienced presenter. Michael has a passion for charity and he regularly hosts charity dinners. His warm persona and professionalism makes him an in-demand presenter and host. Michael Kurn started his professional career with local radio in 2008 and discovered his passion for presenting. Today, host and presenter Michael Kurn has a long and impressive resume. He has hosted and presented at various different events from fashion shows to product launches, charity nights to awards ceremonies. He has a passion for charity work and is an ambassador for Dare2Express, spreading awareness about depression, trauma and mental illness and Rose Road working with children who have multiple and complex health needs. Michael also has a lot of experience in the sporting industry and has hosted events across the world including the Champions Trophy In India 2016, European Equestrian Championships in Aachen Germany, the 2016 Hockey Champions Trophy, Gaucho International Polo Live at the O2 Arena and the Danone Nations Cup for Sky Sports. As a host and presenter Michael Kurn is warm, professional, efficient and pays great attention to detail. Michael impresses clients again and again, and he continues to be an in-demand presenter and host.